Zapier is a great, easy to use automation tool for busy people just like you. Zapier moves information between your web apps automatically, cutting out the manual stuff so you can focus on the real work! How does it work with Quotient? 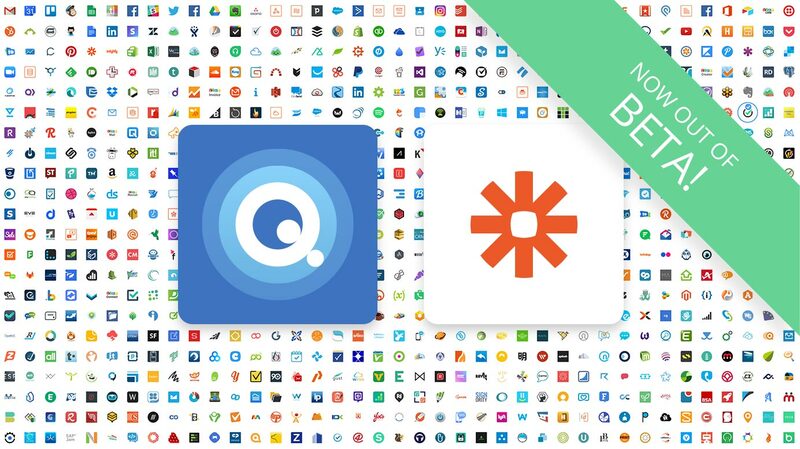 Your Quotient account can now be connected through Zapier to a possible 1000+ web apps to streamline your workflow and make your life easier. When an event triggers in Quotient an action can be performed in another Zapier connected app. For example, when a Quote is viewed in Quotient you may wish to be notified about this in your Slack feed. Anyone can build workflows with just a few clicks. The Zap Editor makes do-it-yourself automation anyone’s game – you don’t need a geek. Question Asked: Triggers when a Customer asks a New Question. Quote Viewed: Triggers every time a Customer views a Quote. Quote Accepted: Triggers when a Quote is Accepted. Quote Sent: Triggers when a New Quote is first Sent. Quote Declined: Triggers when a Quote is Declined. Creating Zaps takes place over in Zapier, so go ahead and sign up with Zapier – if you haven’t already. Zapier has a Free Forever plan which allows for up to 5 live Zaps and 100 Tasks per month. For the more active users, they have paid plans starting at $20USD per month. Over the last month, we’ve been in beta phase, while many of our Zapier power-user customers have been putting the integration through its paces. Thank you for your wonderful feedback and for helping get us out of beta! Check out our Zapier Help Article for the full lowdown, and feel free to send us a message if you have any questions. If you have any feedback, or if there’s anything else you’d like to see with the Zapier integration then please let us know in the comments below.